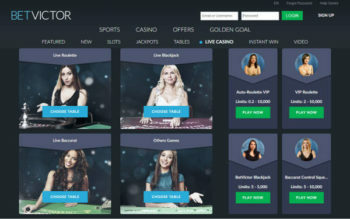 Bet Victor has parted company with Extreme Live Gaming. 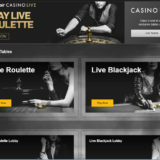 From today, 20th March 2018, live casino games from Extreme Live Gaming will no longer be available at BetVictor. 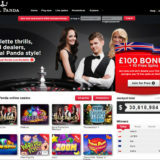 This takes BetVictor down to one Live Casino provider, Evolution Gaming. 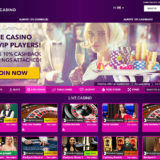 At one time Bet Victor was the go to casino for Live Casino games, as they were the first to have multiple suppliers. At one stage they had 5, but through a program of rationalisations, cost savings and the like these have now been reduced to a final one. A spokesman for BetVictor was unable to say what the future would hold for replacing Extreme live Gaming, but imagined that something may happen. It’s an interesting one as Bet Victor has had all the major suppliers at one time, so if they added one we’d probably see the return of an old supplier. Or if someone like Ezugi got their UK license perhaps we might see them added. Who knows, lets watch and see.